We bring you last week's top performances from Senegalese players who are playing abroad and who all have had prior experience of national team duties at youth or senior level. 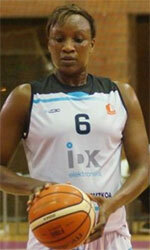 Astou Ndour (198-C-94) led Cukurova to a victory over the closely-ranked Ormanspor in the Turkish KBSL in Tuesday night's game. Traditionally, every week we bring you a list of the top performances of Nigerians who are currently playing abroad. 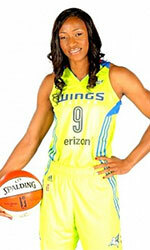 This week's number one is an international forward Evelyn Akhator (190-95). She was the major contributor in Besiktas' victory against the 11th-ranked Adana Basket in the Turkish KBSL in Saturday night's game. We bring you last week's top performances from Malians who are playing abroad and who all have had prior experience of national team duties at youth or senior level. This week's number one is an experienced former international power forward Meiya Tirera (186-86). She was the major contributor in Valencia's victory against the closely-ranked Gernika in the Spanish LFB in Wednesday night's game.